...an exploration of the human form and human condition. 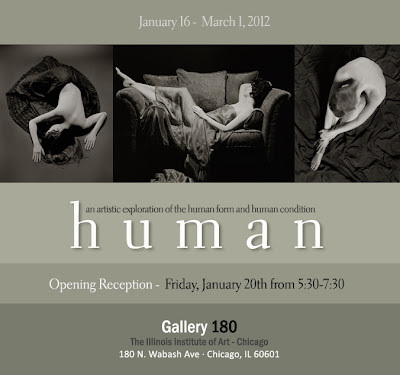 Gallery 180 is located at 180 N. Wabash—at the corner of Lake and Wabash—in Chicago’s Loop. The gallery is open Monday through Thursday from 8am-8pm, Friday 8am-5:30pm and Saturday 9am-5pm. Additional information can be found at gallery180.com. Thanks Chuck for the wonderful ARTICLE…I’m looking forward to the show!